“The figures show the huge impact cancer will have in every family in Scotland. With almost half of all Scots experiencing cancer at some point in their life, ensuring swift and effective treatment is critical. “I’m pleased that many years of campaigning to get people screened and tested are paying off and that more people are surviving cancer. We should celebrate all the hard work and our NHS staff who have helped make such a difference. 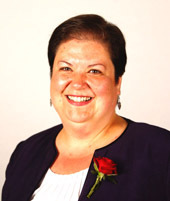 “Scottish Labour want to ensure that if someone is suspected of having cancer that they get diagnosed more quickly. We want to see testing and diagnosis within two weeks of someone walking into their GP surgery.